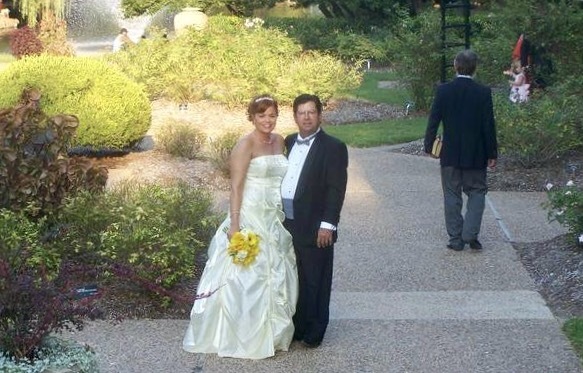 When I married my husband years ago, my son who was a fifteen at the time, ruined all of the wedding photos that he was in. A lot of people wonder why I don’t post my wedding photos but, we didn’t have a professional photographer and, my son was frowning in every photo. Viewing my wedding photos with Cindy a few weeks ago, try as I might, I couldn’t find one where he was smiling. Not one. Don’t get me wrong, I love my son but, I also love my husband. My son was acting out and chose my wedding day to do so. Yes, it was awkward but, I didn’t let it spoil my day although my husband was fairly hurt that my son didn’t bother to smile in photos on a day we wanted to spend with our family that wasn’t about them but, instead about us. Weddings are about the couple not their children, stepchildren, parents, friends or Inlaws but, try telling a sixteen year old that you aren’t going to let their attitude spoil your wedding. My son was a trained model as a child who worked with me for numerous brands throughout his childhood and, he also knew how to pose and/or fake a smile for photos. Sure, a snarl here and an eye roll there bothered me but, I couldn’t do anything about it at the time. My focus that day our wedding day was on my husband instead of my son. Spreading myself thin, there was only one of them that I was going to make happy and, I did the best I could. 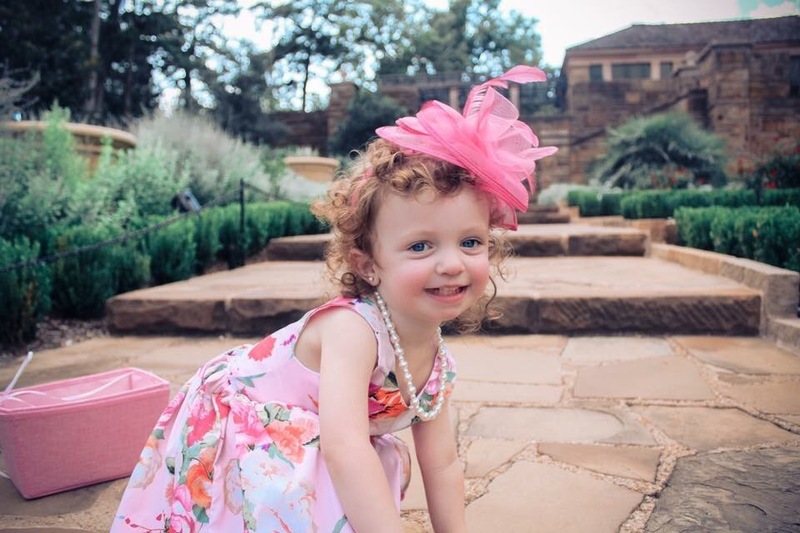 Why was my usually easygoing child “acting out” at my wedding? Because we would be moving to a development of my husbands from our centrally located condo in Fort Worth. 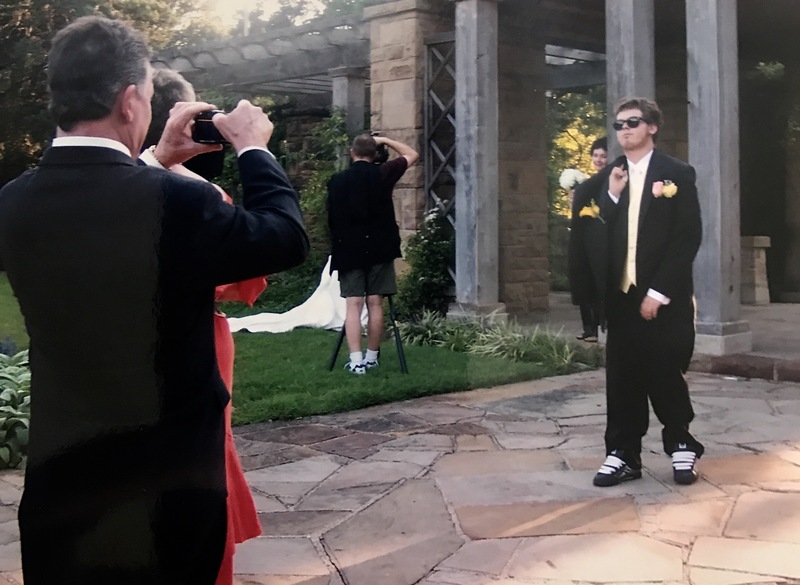 My son is an only child who has had everything he ever wanted and more but, ruining a wedding was something that neither I or anyone else might have ever expected. My twin sister, Cindy was (not surprisingly) lit about my son’s behavior at an occasion that was supposed to be joyous. Did my son deliberately arrive late in the car my husband had bought for him? Yes. With an attitude? Absolutely. Where was the smile that three sets of braces had created? Nowhere to be found at my wedding. My husband has no children of his own and other than his two stepdaughters (both of whom didn’t like me off the bat), worked as hard as I did to gain acceptance from my son as I did from his stepdaughters. It was trying and emotional roller coaster for all of us for years. The spoiled and selfish children against the couple trying to create a life together. Who would win? We did. My husband and I put ourselves above our blended family. We became “Team Wortham” against all of the step children who wanted us to divorce and, we won the battle. Adult children will marry and move away. They will start their own family. The won’t care if you like their spouse or not. They will expect you to welcome their husband or wife into your family with open arms. Adult children don’t care what they’ve put their stepmothers or stepfathers through because they’ve long forgotten how terrible they were during your courtship with your spouse or even the first few years of YOUR marriage to their father or mother. Step kids can make or break your marriage. If you give them the reins, they will ride and ruin your life. This isn’t to say all stepchildren are terrible but, most are challenging to say the least and, they have had their mother or father all to themselves after a divorce. Stepchildren don’t like new rules or, new parents! Trying to make my son feel welcome, loved and happy in our marriage was a “literal hurdle” for my husband and I that took years. Trying to make my son accept this “newcomer” in our lives was a fierce battle regardless of what my husband did to welcome my son into his life. Believe me when I tell you that my husband bent over backwards trying to win the war of my son accepting my marriage. My husband had a lot of experience. 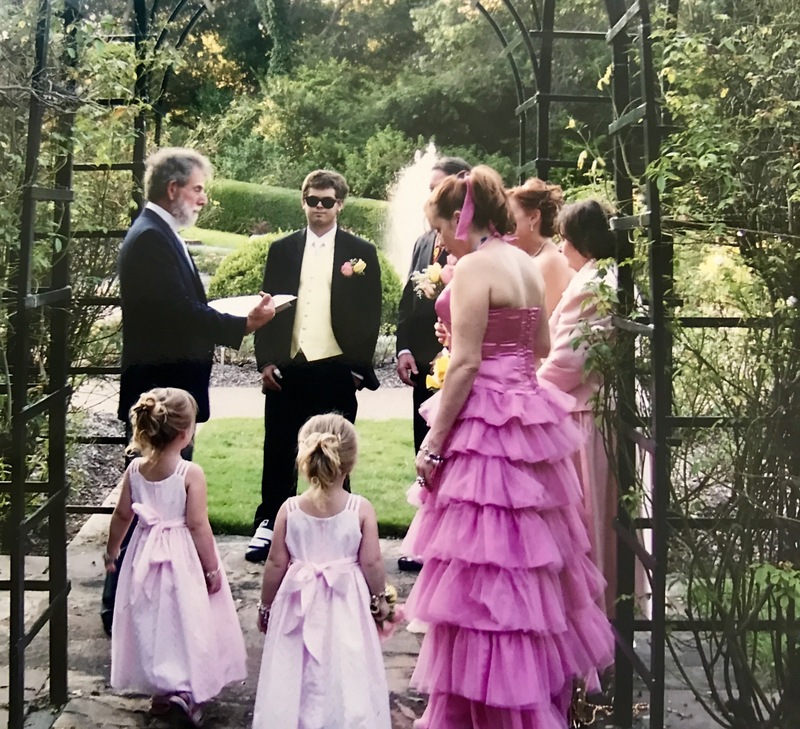 He had married someone much older with a built in family and both of his stepdaughters were teenagers nearly twenty eight years before marrying me. Matthew was accustomed to teenagers and their antics. He had been initiated over and over by his stepdaughters into the “Step parent trap” from his first marriage. Moving your adult children home is a mistake. Moving your adult children and their children home will prevent you from ever having an empty nest and, your adult children will forever view your home as their home. You will teach them to be lazy and entitled. You will teach them to be unable to support themselves. You will teach them that they can walk all over you and, your Rules. If you don’t establish clear guidelines when moving your adult children “back home,” you WILL be sorry. Parents aren’t “saving” their adult children by moving them home because they are enabling them. How do you expect your adult children to survive in life if you don’t literally, push them out of the nest? Spoiled adult children don’t take care of elderly parents. They’ve been raised to be coddled and put on a pedestal. Teaching your children to be a survivor means stepping back and letting them learn that life isn’t as easy as the safety net of your home is. If you don’t work, you will be homeless. Sounds humbling because it’s true. If your adult “child” believes that no matter what happens to them, “their parents will fix it” you need to evaluate your own parenting skills. Why? Because you haven’t taught them anything. Independence requires children to learn the value of their mistakes. Cindy and I have tried to save Stephaney over and over and over again. We haven’t. We only enabled her. What will happen when we die? Will she burn through her trust money? I tried as hard to win over my new stepdaughters as my husband did with my son. 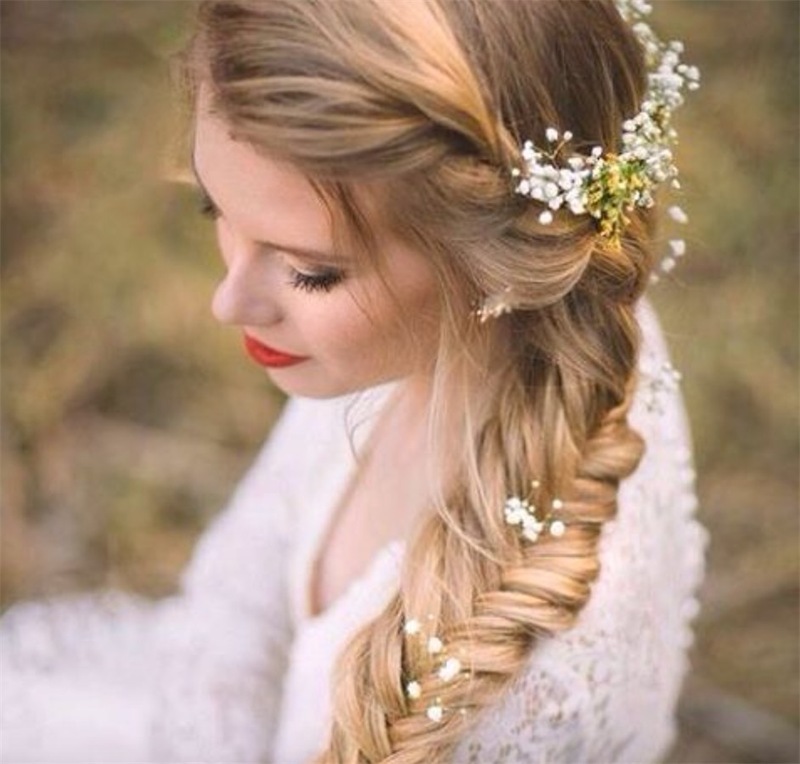 Although their mother had remarried, both of my stepdaughters resented not only me but, also my age (a few years within their ages) and my son. They had accepted their new stepfather but, were unwilling to accept their new stepmother. I’m guessing it was a money war battle? Were my new stepdaughters worried about their inheritance? They shouldn’t have been because a trust had been set up to benefit them and in the event of their deaths, their children long before I walked into the picture. The Wortham Trust doesn’t benefit me in any way, shape or form. Due to the Trust, any and all other assets belonging to my husband are left solely to me. Maybe that was the problem? My mothers trust benefits all four of her children and in death, our children. It doesn’t not however, benefit my husband in any way, shape or form. Second marriages and blended families require parents to “set aside” the inheritance of their adult children while “factoring in” their spouse. My husband is leaving a trust that benefits Ann’s children and Donna or if Donna dies, her children. While my husband lives, the trust doesn’t pay anything. Some adult children are “waiting around” on their parents to die. Why? Money. Having a trust and legal will in place protects your spouse from Inlaws and Outlaws showing up with pitchforks “to get their share.” My trust benefits my son. My will benefits my sister, husband, son, grandnieces and nieces. Why? Because a large portion of disposable income will be paid out to my son after the death of my mother and subsequently, me. Death shouldn’t be a pay out. Adult children shouldn’t expect their parents to save all of their money to leave to their children. After all, who earned that money? I can promise you it wasn’t the “entitled” adult children AKA beneficiaries. I have no idea why adult children count on an inheritance that they’ve done nothing to deserve. If I hadn’t set up the Sharon Hill Trust to benefit myself and my siblings, the only thing our mothers children would be inheriting woukd be her Funeral Expenses. What lengths did my husband go to over the years for my son? For starters, the house he built for us featured a separate wing for my son and bathroom fixtures that my son chose on his own in a black and white theme as well as taking him shopping to buy whatever car he wanted. Nothing my husband could have done or said would have made the transition from friend to stepfather easy for my husband. He tried everything. Taking my son to buy him a car while I was at work, my husband was as surprised as I was that my son used his new car to take off and run with his friends without being thankful for being given the independence of having an automobile without the responsibility of car payments. Getting a job was the LAST thing on my sons mind. Gas? Wasn’t that free? Parents, “giving your adult child a car” isn’t YOUR responsibility. If your teen wants a car- let them work for it and buy it on their own. I did. My sisters did too. No one gave us anything. We earned nice cars, furniture, clothing and jewelry. You will never appreciate anything that you haven’t worked for in life. If it’s free to you- you will take it for granted. 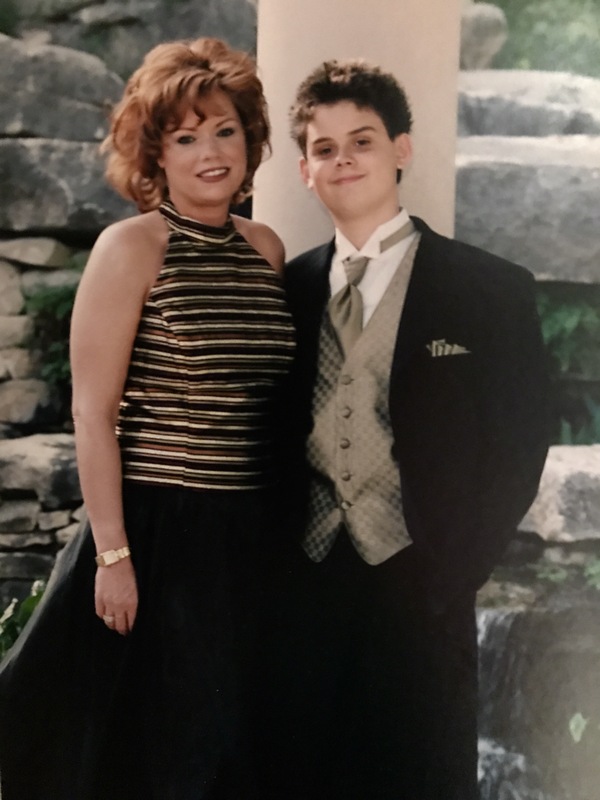 By the time my son was eighteen, he moved out of our home because I had established Rules. 1. Be home at 10PM. 2. No friends in the house unless Matthew and I were home. 3. A small amount of rent. 4. Respect boundaries. Why did I have these Rules? My sons friend had stolen several of my husbands tools while he and I were at work. “Friends” that steal from your parents don’t belong in their home. My son had a string of “friends” that I didn’t care for and, I didn’t hide the fact that I was concerned about what my son was doing during the time Seth was loading up thousands of dollars of tools from our garage. Was he in the bathroom or the pool? Was he aware that his friend was stealing from his stepfather? Yes, I was as upset as my husband that my son had brought someone into our home to steal from us. My husband and I immediately put a lock on our bedroom door to protect my jewelry and my husbands guns from possible theft. Of course, my son thought we were overreacting by having a locksmith install a deadbolt on our bedroom door but, my son had no idea what Seth had stolen was worth. How could he? My son didn’t buy the tools and toolboxes because my husband had. I was embarrassed and devastated about my husbands personal belongings being rifled through while he was at work. Your home is your safe place and my husbands safe place had been ransacked. I agreed completely about the new rules at WorthamWorld. Even in our latest home, there are locks on our bedroom door and my closet to protect my jewelry and my husbands belongings from being pilfered when my nieces, son, or daughter in law bring a friend over for a visit. Better to be safe than sorry. Children, teens and even adult children should never have access to their parents bedrooms. Boundaries are essential to stepparents because without Rules, there is Chaos. Do you really want someone snooping through your stuff while you are at work? How do you feel about your stepchildrens “friends” snooping through your stuff? Establish clear boundaries and stop trying to be a friend when your role is to be a parent! By the time my son announced that he was moving out, I didn’t try to stop him. Why? He needed to experience real life outside the sheltered world of being in my life with free food and shelter, fabulous vacations, shopping sprees and entitlement. Yep. Not a care in the world. No worries. Children complain about stress all the time but, what actual stress do they have? Going to school? Give me a break! Sure, I worried about my son being “out in the world” but, growing up and learning to pay his own bills and make his own way was something that I couldn’t teach him on my own. Sure, I didn’t want him to starve and every visit my son made to our home after moving out was with a hot meal for him. We aren’t teaching adult children anything by paying their bills except the fact that they don’t have to put any effort into their own existence. Years after my son moved out, he’s learned that my husband was more of a friend than a foe. My husband gave my son a job at McBee Homes and has helped him over and over again. Even when my son and his wife were left homeless after a house fire, my husband and I moved them into our home. My “rules” at WorthamWorld hadn’t changed when my son and his wife arrived on our doorstep. After ninety days, my son and his wife moved out of our home. This “90 Day Rule to settle their homeowners insurance, find a temporary home for their three dogs and find a new place to live” was put in place by me prior to my son and his wife moving into our home AKA WorthamWorld. Some of you may find my Rules rigid. That’s okay, you don’t live with me. I’m not trying to make anyone under my roof happy other than my husband and my dog, Foxy Wortham which is why I told my daughter in law that she couldn’t bring their three dogs into our home. This is Foxys home too. Of course, an argument between my daughter in law and I ensued over my “no pet rule” but, at the end of the day, my daughter in laws grandmother and my ex husband took care of my sons pets while he and his wife lived with us for three months. The truth is that years ago, my daughter in law brought her dog to our home. Her dog had fleas. Her dog ate my dogs food. Her dog soiled my carpet and pretty much traumatized my dog to such an extent that for months Foxy went back to pooping in the house (if a visiting dog can poop in the house why can’t I is what I’m guessing my dog thought) and the expense of exterminating the fleas costs thousands of dollars. Mind you, that was with one of my son and daughter in laws dogs not, three. Having four pets in our home and upsetting our twelve year old Beagle wasn’t even a “remote possibility” for my husband or I.
I actually wrote a blog about one of daughter in law’s “friends” coming to our home with head lice and another about your dog has fleas. Both times, the expense to exterminate our entire home was several thousand dollars. I never got an apology from my daughter in law regarding the fleas or the head lice but, rather than simmering about it, I wrote a blog and moved on. By now, you’ve probably figured out that while everyone else reads my blogs, our children don’t. Lol. If your dog has fleas or your friend has head lice, don’t darken my doorstep. No, I cannot make this $hit up ya all. Here’s the fleas blog link– Pets, Fleas And Visiting My Home. You’re Welcome But, Your Pets Aren’t And Why. A lot of parents not only buy their adult children cars but also, give them their credit cards. Why should your kids worry about what bills they run up when they aren’t paying them? Parents, ya all are creating monsters. Let your kids get their own credit cards and more importantly, pay their own bills. My twin sister, Cindy, has trouble getting anyone to move out of her home. She’s had this problem long before her adult children moved home. Our grandmother moved herself into Cindy’s home for seventeen years and attempted to make the Rules while living Rent Free with Cindy. To overcome the chaos, Cindy moved our grandmother into her own apartment a few blocks away from Cindy’s home and “took her house back!” I supported this move 100% and helped Cindy pack up our grandmother who was making Cindy’s home life a living Hell. Parents- how can you expect your adult children to take care of you late in life when you’ve taught them that they don’t have to take care of themselves or even their own children. Stop. Look and Listen to yourself. Boomerang kids are not as unusual as you might think. Perhaps because I’m so bossy and rigid, moving back home didn’t hold the allure for my son that it did with my nieces at Cindy and Steve’s house? No one in my family wants to live with me because I have Rules at WorthamWorld. This isn’t it a hotel and it isn’t a free room and board Inn either. It’s our home. It’s our safe place and I expect anyone visiting or staying with us to follow the Rules. The alarm is set at 10PM and, if you aren’t inside, you sleep outside. I’m OCD and expect anyone living under my roof to clean up after themselves, make their bed, wash their own clothes, put their dishes in the dishwasher- not the sink, and treat my home, my husband and my dog, Foxy Wortham with respect. Is that too much to ask? Cindy loves how everything is perfect at WorthamWorld. Cindy’s wants an immaculate home me but, with all three of her granddaughters, her adult daughter and her husband under the same roof, she may never have an immaculate home. 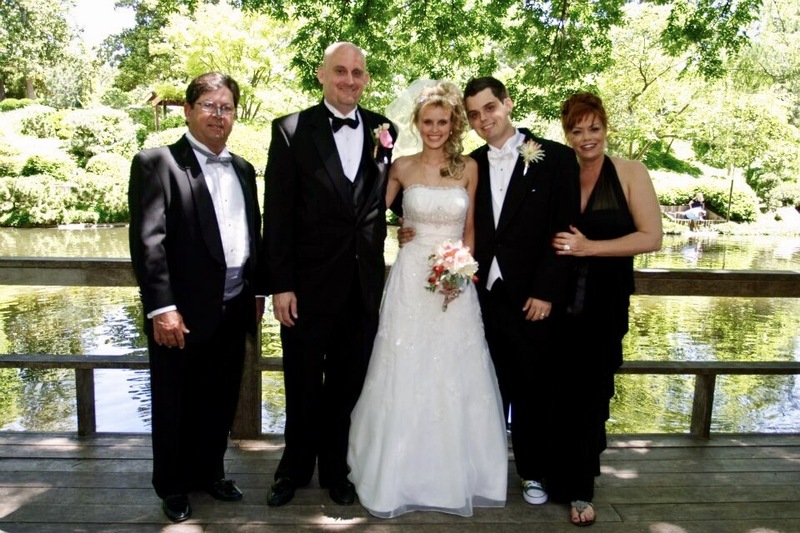 Cindy’s husband, Steve Daniel faced similar issues that my husband did when trying to get Leigh Ann and Stephaney to accept him into the fold. Steve had no problems with me because I immediately liked him and knew he would be a good husband to my twin sister and, I was right. Cindy and Steve have custody of their twin granddaughters, Maryssa and Makenna. They’ve raised them as their own children for fourteen years now and my husband and I have helped financially since Cindy and Steve or the State Of Texas can’t get either of the twins parents to pay their court ordered child support. Grandparents raising grandchildren continues to occur because reckless or irresponsible adult children don’t factor in the sacrifices that raising a child requires. Parents of these “parents” are actually pulling up all of the slack and saving their grandchildren. For many of these grandparents raising grandchildren, the expense involved confuses their parents. Why? They’ve never had to buy school supplies, clothing, pay for braces and medical appointments. Their parents cover the costs for them. Today’s parent only cares about selfies and appearing to be the perfect parent. In reality, parenting is messy and far from orchestrated. There aren’t perfect moments everyday for anyone parenting children, juggling work and hanging in there. Sure, FB and Instagram would have it appear that every parent is perfect but, smiling and happy children aren’t singing their way through everyday. Today’s blog is based on a bride I’m working with reaching out to me regarding her future husbands children. I had an email last night after midnight regarding the wedding and a Bride getting cold feet because she isn’t sure that she can handle being treated like the Wicked Stepmother. Who could blame her? Trying to get stepchildren to accept you is frustrating at best and heart wrenching at worst. Children can destroy marriages. My husband and Cindy’s husband “hung in there” and won over our adult children but, it took years. They are both far older than us and also, far more patient. God love em both for their resilience! I’m going to go over what I told my beautiful Bride about “winning the battle” to become a stepmother that is patient and loving while having boundaries. How do I know about this? My husband had two stepdaughters. Oh but, that didn’t work well for me. When one daughter called in the middle of the night drunk and wanting money “to keep from going to jail,” my husband finally closed his wallet. Of course, I was blamed for this but, truthfully, my husband was sick and tired of bailing a nearly fifty year old woman out of trouble. He was also sick and tired of being everyone’s checkbook. My stepdaughters weren’t thrilled about my husband marrying me either. In fact, one of them challenged my husband with a “her or me scenario” and effectively, lost. The other, Ann, accepted me and after years of dissapointing her stepfather over and over again, finally established a relationship with him thanks to me. That’s right, after Ann’s sister caused a falling out for my husband and his entire family, I welcomed Ann into our lives and into my businesses. My husbands stepdaughters both had given him an actual “run for the money.” Both had been financially debilitating to his marriage because they were in and out of trouble and moving home with all of their children to his empty nest. How bad did it get? He left with the shirt on his back. The relationship with my husbands two stepdaughters AND all of their children under his roof was so draining to him that after twenty five years, he filed for a divorce. People get tired of cleaning up someone else’s mess. People get tired of chaos. People want peace. If your stepchildren do everything they can to destroy your marriage, it’s because you gave them the power to do so. Stop letting adult children make decisions. Do you want to die alone because your children won’t accept anyone into your life? Well then, Snap Out Of It! You’re planning for a future with someone that will stand beside you through thick and thin and most of the time it won’t be your children. It will be your spouse. Not surprisingly, moving adult children into our home was the last thing my husband wanted to do a few years ago when my sons home burned down during Thanksgiving but, my husband sucked it up and made an agreement with me that included “ninety days and no pets” as part of the deal. Why? Because adult children who move home rarely move out. Ask my sister. Ask my husband. Moving adult children home removes any responsibilities from their lives. No rent. No buying groceries. No laundry. No housecleaning and no problems for them anyway. Your peaceful place is no longer peaceful when you allow adult children to move home. They think it’s “their house.” It isn’t. Unless you set boundaries, your homelife just went to Hell. Why would your adult children ever move out? You are left holding the bag with spoiled and entitled children and sadly, you have only yourself to blame. Ann had demons. She struggled with mental illness and an addiction to Hydrocodone that nearly had her doing a Prison Stint. Matthew (my husband) bailed her out and spent over 50k to keep her from going to jail for writing her own prescriptions in five counties. My husband had paid for private school tuition for not only Ann’s two children living under his roof but also, Donna’s children who were also living with him. Attorneys fees, food, expenses and more and…he eventually became sick and tired of a homelife that went to Hell. If you have to leave your own home because you are outnumbered, disrespected and miserable, it’s because you actually had no other choice. I’m a runner. I ran from my first husband after ten years and I ran from my second husband after six years who couldn’t be faithful if his life depended on it. Sure, he was charming and made people laugh but, my second husband had an ego that needed constant care. Leaving both of my ex husbands was a difficult choice due to the incomes of both that far surpassed my own but, peace is expensive. I would rather be poor and happy than rich and miserable. My third husband is my best friend. Matthew struggled with my son accepting him but, he also taught him how to fish. When my son had a flat tire, Matthew didn’t change it for him because he taught him how to change it himself. Teaching children to be independent is necessary to their survival. We can’t save our children throughout our lives and expect them to “figure it out” after we are dead. As parents, it’s not easy to watch your children make mistakes as adults but, it’s a learning curve. If we don’t allow them to fall- they are never going to fly. My niece has no plans to move out of my sisters home. Leigh Ann moved home on a one way ticket, married and pregnant. She’s still married and her daughter, Maddie will have her second birthday in October. In fact, Leigh Ann’s sister, Stephaney now “wants to move home.” Cindy’s husband wants to know when it will just be him, Cindy and the twins again? It’s a delicate balance. Cindy loves having a baby in the house and I love having a baby around too. Maddy makes us both happy and keeps us laughing. If my son and Leigh Ann’s sister are upset about “Leigh Ann moving home,” it should be noted that baby Maddy is our sunshine. That kid is hilarious. Stephaney is being released from JPS LCA next week and on a phone call to Cindy, said “it’s not fair that Leigh Ann gets to live at home and I don’t.” Well, Stephaney’s choices are the reason she was effectively, kicked out a year ago. Prior to last year, Stephaney had lived with Cindy and Leigh Ann, the twins, baby Madyson, and Cindy’s husband Steve. Cindy had a “full house.” Cindy was overwhelmed and Stephaney wasn’t following the Rules. Cindy is famous for her Redneck Granny Quotes used on Pawning Planners Apparel. My sister can mail just about any situation with a Quote and, she does. Ironically, many of her Quotes are based on our families. Last week, I heard my sister tell her daughter “I’m raising your daughters and have been for fourteen years. You aren’t my responsibility they are. My home isn’t a hotel. You never followed my Rules and I’m old and tired. Live at the shelter. Move in with a friend. Find a job and figure it out because I’m overwhelmed.” Cindy meant it. Steve was issuing a warning. The same warning that Matthew had issued to his ex wife, Judy years ago about her children overrunning their home. The home Matthew built and paid for. He had nowhere to call his own in his own home. If someone is threatening to leave, it’s because they’ve given it a great deal of thought. These “warnings” are for real. I gave similar warnings to both of my ex husbands before filing for a divorce and leaving. Violence and/or Imfidelity are actual Deal Breakers for me. Trying to get your children to warm up to a new boyfriend, girlfriend or stepmother or stepfather is perhaps one of the most trying things you can put yourself through. Trying to get your children to warm up to a wedding is a real battle. Weddings are joyous and fun but, not if your children are acting out at the celebration. 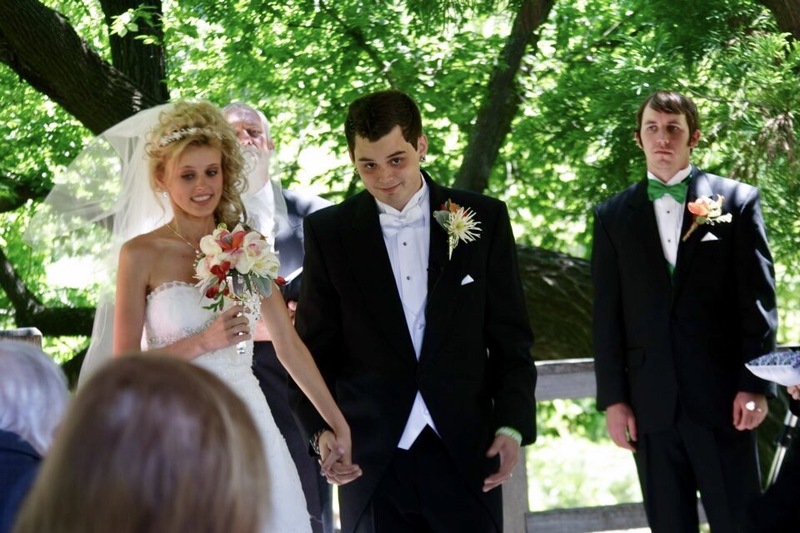 Sure, I still smiled in my wedding photos and appeared happy by ignoring my son and his anger on my wedding day but, my wedding photos tell a story of how much my husband had to overcome to gain acceptance into the fold. There were happy people at my wedding but, the happy people weren’t my son or my nieces. The only photos we have of my husband and I that are happy are of us alone, with my sister, with my twin grandnieces or aunt or with my husbands best friend. It’s sad but, it’s true that my son not only “rained on our wedding” but, also at the reception. I’m adding photos of my son to show you. I was completely embarrassed at my sons attitude but, not in a position to change it. One day, Cindy and I hope to Renew Our Vows with Matthew and Steve under better circumstances than we had at both of our Weddings. By the time my son announced his plans to marry, my husband and son had finally bonded. There weren’t any scowls at my sons wedding other than those between my ex mother in law and my new daughter in law’s mother. Both of whom did nothing to contribute to the wedding. Inlaws and Outlaws- I’ve met a few. My ex husband posed right next to my husband and there wasn’t any animosity. Why? Because we are all adults and know how to behave at “family events.” Weddings aren’t about holding a grudge. Weddings are about the couple. I have to remind people if this at least once a week. Stop trying to please everyone else and please yourself first. You’re worth it! Cindy’s daughters and my son have now “bonded” with our husbands and realize that they aren’t going anywhere. We aren’t going to leave our husbands and they aren’t going to leave us. The third time is a charm for the Texas Twins. Marriage isn’t easy and, it’s far harder when children, teens and even older adult children are in the picture. Getting your family to warm up to your new beau will require patience on your part. Prepare for resistance and realize that children grow up and leave home. Your new beau and future spouse is a Life Partner. Finding love again and moving on to a new life partner is challenging. But, it’s even harder if your kids won’t welcome your new partner. Take your time- you can’t force a connection between your kids and significant other. Bonding and acceptance take time. Introduce someone new into your children’s lives in small doses. Hopefully, over time, your children will accept your new beau. Plan Solo Events with your kids. Don’t overwhelm your kids by bringing your new partner everywhere you go. You want your children to view your new relationship as natural not intrusive. I strongly disagree with this because as a parent, you are the decision maker. You are the leader. You are the parent. You are the check writer & the task taker. If you put your adult children in charge, you also just made yourself a doormat. It’s your life- it’s your future and your kids will eventually move on. If your children don’t like your new beau, it could take years for them to accept them. Don’t go into a relationship leading your children to believe they are making the Rules. Parents set boundaries not the children. I fully expect that my Brides stepchildren will cause some degree of animosity at the wedding but, I’m an old hat at conflict resolution and will try to keep the chaos to a minimum. You should be allowed to enjoy your wedding day and regardless of how others act. Blending families isn’t easy but, with patience you can and while doing so, show stepchildren who is actually in charge and, who isn’t….